PMTR2111 - Platinum Series PRO (Positive) [PMTR2111] - $124.95 : TSR Slot Cars, TSR Slot Cars - Dedicated to Slot Car racing, collecting, restoration, track design, electronics and software. 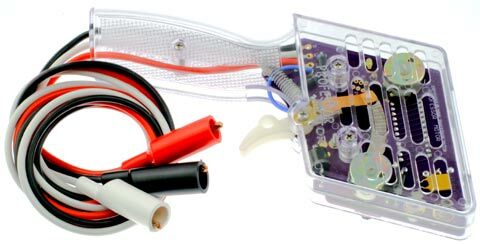 "Platinum Series" PRO Model Electronic Slot Racing Controller - POSITIVE polarity for most Commercial Raceway tracks. Includes variable brakes, variable sensitivity (single knob adjust), internal aluminum heat sink, silicone leads & solid copper alligator clips w/boots - New transistor based technology - Recommended Operating Voltage Range : 12 to 18 volts. Note: polarity cannot be reversed on this model. Recommended for TSR cars or similar FK-powered 1/24 and 1/32 scale cars.